The 14th Extra-Ordinary Summit of the IGAD Assembly of Heads of State and Government on the Sudan Peace Process was held in Nairobi on Tuesday this week. The Summit was preceded on March 8th by the 35th extraordinary session of the IGAD Council of Ministers called to review progress of the implementation of Sudan’s Comprehensive Peace Agreement (CPA), attended by Ethiopia, Kenya, Djibouti, Uganda, Somalia and Sudan as well as by observers and representatives of partners. The Council meeting noted although the two parties to the Comprehensive Peace Agreement have made significant progress in implementing provisions of the agreement, the need to address other critical issues has become more urgent than ever. These included the establishment of the South Sudan and the Abyei Referendum Commissions, the North/ South Border Demarcation, the upcoming General Elections this year, the Referendum to be held January 2011 as well as post-referendum arrangements. The Summit, chaired by Prime Minister Meles Zenawi, was attended by President Kibaki of Kenya, President Museveni of Uganda, President Ismail Guelleh of Djibouti, General Salva Kiir, First Vice-president of Sudan and President of South Sudan, Ali Osman Mohamed Taha, Vice-President of Sudan, and Omar Ali Sharmarke, Prime Minister of Somalia. Also present was President Obama’s Special Envoy to Sudan, General Scott Gration. The meeting was briefed by IGAD’s Executive secretary, Engineer Mahboub Maalim, the AU’s Commissioner for Peace and Security, Mr. Ramtane Lamamra, and Mr. Ahmed Ben Helli, Deputy Secretary-General of the League of Arab States. It also heard the report of the IGAD Ministerial Mission to Khartoum and Juba presented by Kenya’s Foreign Minister, Moses Wetangu’la, chairperson of the IGAD sub-committee on implementation of the CPA. The Summit, noting the central place of IGAD in implementation of the CPA, acknowledged the progress made by the Sudanese National Congress Party (NCP) and Southern Sudan Peoples Liberation Movement (SPLM), and called upon the two parties to develop a working formula for collaborating in effective implementation of the CPA. It took note of the signing of the framework agreement between the Government of Sudan and the Justice and Equality Movement on February 23rd in Doha, as well as the signing of the electoral Code of Conduct and the Declaration on Common Commitments by Sudanese political parties under the auspices of the AU High Level Implementation Panel. It urged the parties to remain committed to resolving outstanding issues and removing all obstacles to a free and fair election. The Summit welcomed the commitment to commence negotiations on post-referendum arrangements and confirmed IGAD’s availability to support the process. It directed the IGAD Council of Ministers to provide technical support for border demarcation and establishing referendum commissions by May, and to immediately undertake shuttle diplomacy to encourage mutual trust and confidence building between the two parties. The IGAD Secretariat was also told open a liaison office in Juba to follow up on CPA implementation and activate the invitation to observe the April elections in Sudan. The observer team was requested to take up position by the end of this month. The Summit also appreciated the support of the IGAD Partners Forum and international organizations; and directed the Secretariat to arrange with the parties and the Partners Forum for an international donors conference on both the pre- and post-referendum period. In his concluding remarks, Prime Minister Meles noted that the Summit had reaffirmed its total commitment to assist the two parties achieve effective implementation of the CPA and protect the peace, security and stability of the Sudan. In the last resort, however, these were objectives that could only be achieved by the two parties. IGAD’s role was to help in the implementation of the CPA. This was why the Summit had directed the Ministerial Council to work closely with the two parties to encourage trust and confidence and to mobilize technical support. Prime Minister Meles expressed his conviction that IGAD was now in a position to help implement the CPA more effectively. The UN Monitoring Group report has yet to be made public. It is due to be the subject of consultations in the Sanctions Committee next Tuesday, before the Monitoring Group’s mandate expires on March 20th. There have, however, already been some leaks, with the New York Times claiming to have seen a copy of the report and suggesting that the report focuses rather more on the problems of the Somali Government and on the difficulties of food aid distribution than on the intended main subject of the Monitoring Group’s interest – violations of the arms embargo. In this connection, the New York Times notes that several of the authors of the report have received death threats and the United Nations recently relocated the Monitoring Group from Nairobi to New York for reasons of safety. These concerns appear to be apparent in the report. It remains possible that this will affect the ability of the report to be as outspoken as it should be. There must be concern that this may in turn influence the Security Council’s further debates on sanctions against Eritrea. Nevertheless, as might be expected, it seems that Eritrea does still figure largely with the flight of Sheikh Hassan Dahir ‘Aweys’ from Asmara to Mogadishu in April last year, and detailed notes on the political, financial and training support for armed opposition groups in Somalia. The report also raises issues about diversion of food aid and the World Food Programme, collaboration with pirates and allegations of diplomatic visas being auctioned. Equally, it does cover in detail the activities of Al-Shabaab in Somalia as well as its links in Kenya and elsewhere and dealing with the issue of recruitment in Europe and America. In looking at arms embargo violations, the report, despite the details it supplies of Eritrean activity, apparently comes to the conclusion that Eritrea’s role has diminished relatively as the Eritrean Government is now placing greater emphasis on political and financial support. Nevertheless it can be expected that the report will have details of such transactions as the despatch of 18 surface-to-air missiles to central Somalia from Eritrea early last year, as well as Al-Shabaab’s recruitment of foreign fighters. The report will no doubt also cover the issue of technical violations of the embargo involving support for the TFG, some authorised, some not. The indications are that the report will be rather more critical of the TFG despite its progress in courting internal support and improving its security sector. The New York Times claims the report also accuses the Puntland authorities of extensive links to the pirates despite the fact that, according to the Government, Puntland has jailed over 150 pirates. Meanwhile, several countries and bodies have begun to take action over Al-Shabaab and over the UN sanctions on Eritrea. On Monday last week, the Council of the European Union adopted the decision to impose restrictive measures against Eritrea in line with Security Council Resolution 1907. These measures consist of an arms embargo, as well as travel restrictions and a freeze of assets against persons and entities yet to be designated by the UN Sanctions Committee. Some of the details will presumably be available after the publication of the Monitoring Group report. The people and bodies concerned will be those who act in violation of the arms embargo, provide support to armed opposition groups aiming to destabilize the region, obstruct implementation of the Security Council’s Resolution 1862 concerning the dispute between Djibouti and Eritrea, who harbour, finance, facilitate, support, organize, train or incite individuals or groups to perpetrate acts of violence or terrorism against other states or their citizens in the region, and finally, those who obstruct the investigations or work of the Monitoring Group. In the wake of the UN sanctions, the official Eritrean media (there is no private media in Eritrea) continues to attack the US. President Isaias and other Eritrean officials have repeatedly claimed the US was responsible for all the problems facing Eritrea, including the continuing exodus of Eritreans across the borders to Ethiopia and to Sudan. 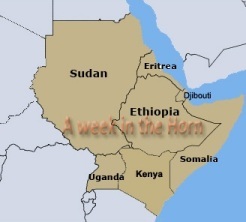 This week, the US was accused of attempting “to create chaos and division on top of incapacitating the Eritrean economy and political strength.” On Wednesday last week, in the face of these continuing claims, the US State Department issued a new travel warning recommending US citizens to defer all travel to Eritrea. The warning noted that the Eritrean Government had restricted travel outside Asmara, requiring all visitors, and residents, including foreign nationals and diplomats, to apply ten days in advance for permission to travel outside the city limits. It said that an increasing number of US citizens and Eritrean Americans had been arrested without clear justification and as a result of the restrictions the US Embassy could not provide emergency consular assistance outside Asmara. The US ambassador to Eritrea hasn’t yet been able to present his credentials to President Isaias despite arriving in the country two years ago. The warning also noted that detainees might be held for extended periods without information. The Eritrean Government does not inform embassies when foreigners are arrested or detained. Conditions of incarceration are harsh and detainees may be held in very small quarters without access to restrooms, bedding, food or clean water. Several governments have already begun to take action against Al-Shabaab, one of the main recipients of Eritrean aid. Last week, the UK Government announced that it was planning to take action against Al-Shabaab, and the Home Secretary issued an order banning the organization. This followed the concern expressed by the head of Britain’s security organization, MI5, last year that Al-Shabaab was recruiting in the UK. The ban will make membership of Al-Shabaab a criminal offence and stop any British citizens from raising money for the extremist organization. Australia has announced it will be implementing the UN sanctions; and Canada has also now said it too will ban Al-Shabaab. Switzerland, of course, announced it will impose an arms embargo on Eritrea a few weeks ago. The US State Department’s Bureau of Democracy, Human Rights and Labor issued its 2009 Human Rights Report on March 11th. As has become usual, the report on Ethiopia, presumably as with other countries, contains the same repeated allegations, misrepresentations and tendency to use conjecture and anecdote and rely on opposition sources as well as accept groundless un-sourced allegations as plausible or even factual. As in previous reports (from which the authors have, as usual, cut and pasted large elements) the authors apparently believe that repetition, of elements often unaltered from year to year, are sufficient to render these allegations true. The Ethiopian Government will issue a rebuttal shortly after a thorough examination of those allegations which are new, but some general remarks are in order. In addition to differences over the facts, there is also a fundamental difference in the way to build democracy in Ethiopia. The authors of this report appear to be driven by the conviction that personalities in Ethiopia who have foreign connections must be treated differently from others. These links are not forged arbitrarily; they are related to power and the cultivation of networks of power and authority. The same logic explains the violent reaction to the Charities and Societies Proclamation which limits political participation for those NGOs which obtain more than 10% of their budgets from foreign sources. This response has had little to do with democracy or human rights and every thing to do with power and encouraging maximization of the influence and position of benefactors. This amounts to a far more fundamental flaw than the failure to investigate allegations carefully. It suggests a major structural problem and a serious difference of outlook. Those that believe democracy in Ethiopia can only be brought about through external efforts, and the cultivation of domestic ‘trojan horses’, as the authors of this report clearly do, are naturally prone to believe all allegations about government misdeeds automatically, however wild the allegations. Those making the claims and those reporting them mutually reinforce each others approach. False perceptions of internal persecution make internal parties worthy of international attention and support, creating justification for targeting the Government for human rights abuse, lack of democratization and the like. But this cannot be the way to cultivate democracy. Democracy must be an organic growth, nurtured by those who live within it, fostered by the institutions and values of the society. To return to the report itself: it must inevitably be of particular concern that it should be publicized in the run up to the national elections in May when again and again it repeats unfounded opposition allegations without qualification, or often without any effort to investigate the truth of the claims. One such case is that of Ms. Birtukan Mideksa, chairwoman of the Unity for Democracy and Justice, whose alleged health condition is dramatized by the report. As Prime Minister Meles, and indeed the courts, have made very clear, she is not a political prisoner, nor a prisoner of conscience. She was charged and convicted in a court despite being advised by diplomats, elders and even some members of her party to correct misleading statements she made that had exposed her to re-arrest and the reinstatement of her previous conviction. Similarly, the comment on the popular vocalist, Tewodros Kassahun, suggests the now free singer was imprisoned because his songs were critical of the government. In neither case does the report even hint at the true reasons why they were imprisoned. This is not because the authors do not know the facts; rather they deliberately chose to ignore them. The singer had a criminal case to answer to; Ms. Birtukan decided deliberately to defy the law, and her decision had nothing to do with political persecution. The authors actually claim to make “every effort” to verify all the information in the document. If so, they cannot have tried very hard. The report frequently repeats erroneous claims from previous years even when the Government has provided detailed evidence to the contrary. To take the section on academic freedom: last year, the report claimed that “professors could not espouse political sentiments”. This ignored the fact that for example two of the leading and long time members of the opposition are Dr. Merara Gudina and Professor Beyene Petros, both still employed at Addis Ababa University. This year’s report, equally nonsensically, claims the authorities order teachers not to deviate from official lesson plans, that college students are pressured to pledge allegiance to the EPRDF, that non-EPRDF members were reportedly denied teacher’s benefits, and that speech and expression are frequently restricted. Again, one might repeat that leading members of the opposition are university professors, and others are teachers. This report demonstrates serious intellectual deficiencies and flaws, and most seriously, a fundamental and structural difference over how and where democracy can be encouraged in a country like Ethiopia. While the Government of Ethiopia believes democracy must be created internally, the authors of this report make it clear they believe they can impose their version of democracy from outside, cultivating links to specific networks created to provide them with power and authority. To this end they appear to believe all allegations against the government, accepting the frequently expressed view of some international advocacy organizations that all opposition claims must be true and acceptable and that all government statements are to be automatically distrusted. This failure to distinguish between fact and fiction, between myth and reality renders these State Department reports less than valuable and no help in the process of democratization. Senator Feingold made similar comments on the other states about which he claimed to be concerned. Significantly, he emphasized that the way for the US to become involved in helping consolidation of the democratic process in these countries was for it to be aligned with what he called democratic actors that speak out against the erosion of political and civil rights. Given his comments, it is clear that for Senator Feingold only opposition forces can be considered “democratic actors” and it is these which provide the basis for his less than subtle claim to have the right to interfere in the democratic processes of other countries. Senator Feingold appears to hold the view that a successful democratic election in Africa can only be achieved by an opposition victory and a government loss. It is a view apparently shared by some international advocacy organizations. It offers a very odd notion of democracy. The Foreign Ministry, through its embassy in Washington, has written to Senator Feingold to express its concern over what it called his “alarming demonstration of gullibility” and the numerous factual errors in his statement. It made it clear the Senator’s view of democracy, that he had the right to interfere at will in the electoral procedures of other countries, was totally unacceptable to Ethiopians and to the Government of Ethiopia. The statement noted that all observers at the time saw the 2005 elections as Ethiopia’s first successful multi-party election rather than what the Senator called “a severe step back for Ethiopia’s democratic progress”, noting that opposition parties did remarkably well, even though they did not win. It also pointed out that the subsequent riots were not mere “peaceful demonstrations”, as Senator Feingold claimed, but had been exceptionally violent and, as subsequent court proceedings made clear, were part of a deliberate attempt to overthrow the Constitution. The statement said it was clear that the Senator’s claims were largely based on allegations made by opposition politicians, including some in the Diaspora who openly rejected any political processes in favour of armed struggle. Some have even gone to the length of allying with the Government of Eritrea in its persistent efforts to destabilize Ethiopia. It was apparent that Senator Feingold was unaware of the efforts, by the Government, the EPRDF and by almost all opposition parties in Ethiopia to make the elections free and fair. These included: restructuring of the National Electoral Board; consultations between Government and opposition to draw up the legislation for the Electoral Code of Conduct; the multi-party consultative bodies set up to monitor the election process; the consultations between parties and NEB over the election timetable, the allocation of airtime and the organization of public political debates; and the NEB’s code of conduct for local and international observers. Senator Feingold had been seriously misinformed in a number of other areas. There are no key opposition leaders imprisoned for their political activity. The chairwoman of one party, Ms. Birkutan Mideksa, is in jail, but this was the result of a court case brought by the police after she broke the conditions under which she had been granted a pardon in 2007, and subsequently refused to explain her actions, leaving the police no option but to charge her. Senator Feingold appears unaware that far from the democratic space being diminished by the Charities and Societies Proclamation, as some externally-based advocacy organizations and international NGOs have claimed, it only provides for closer oversight of activities, particularly of financial functions where a good many irregularities have occurred in the past. This was why a charities regulatory board was being set up. International NGOs will still be able to operate as before, but they will have to register and be more open about their programmes and operations. The statement noted that it was hard to see why this should be a problem, adding that this legislation, like the recent anti-terrorist legislation, had actually been modelled on US and European laws. The Foreign Ministry’s letter concluded by pointing out that Senator Feingold’s remarks were ill-judged, ill-timed and inaccurate. Coming shortly after the start of formal election campaigning in Ethiopia, they amounted to a deliberate attempt to influence the electorate, to interfere in the outcome of a democratic multi-party election in another country. This was not something that any US politicians would accept from foreigners of whatever position. Any efforts by the Senator, or any other outsiders, to interfere in Ethiopia’s electoral process are simply unacceptable. Ethiopia welcomes advice from friends. A deliberate attempt at interference, on behalf of opposition groups, some in exile and several devoted to armed struggle, is something else. It is to be hoped the Senator will be rather more careful in his comments in future, and to base them on fact and not on fiction. The Deputy Prime Minister and Foreign Minister of the Czech Republic, Mr. Jan Kohout made an official visit to Ethiopia this week from Monday to Wednesday. He was leading a high level delegation composed of government officials and members of the business community. He was received at the airport by his Ethiopian counterpart, Foreign Minister Seyoum with whom he later had extensive discussions, focusing on wide-ranging bilateral and regional issues of mutual interests. During his visit the Czech Minister also met with Ato Sufian Ahmed, Minister of Finance and Economic Development to discuss potential areas of economic cooperation in the context of making Ethiopia a program country for Czech aid and investment, and paid a courtesy call on President Girma Wolde Giorgis. During their talks, Minister Seyoum recalled the historic friendship between Ethiopia and the former Czechoslovakia, and mentioned that it was among the few countries which condemned the aggression committed on Ethiopia by Fascist Italy in the 1930s. He noted that bilateral cooperation between the two countries had always been based on understanding and mutual respect. He mentioned the various economic and development projects which were undertaken with the assistance of the former Czechoslovakian state were reminders of the depth of friendship which provided an excellent basis for the further enhancement of cooperation. Minister Seyoum expressed appreciation to the Government of the Czech Republic for its commitment and sympathy towards Africa during its EU Presidency in the first half of 2009 as demonstrated during the EU-IGAD ministerial Troika in April that year. He also noted that the current projects being undertaken through Czech financial assistance in selected areas, including the teachers’ capacity building program, were commendable and in line with the priorities of the Ethiopian Government. He therefore hoped they could be scaled up. Ato Seyoum extensively briefed his counterpart on the current political and security developments in the region with particular emphasis on Somalia. The two ministers welcomed the agreement recently reached between the Transitional Government of Somalia and the moderate Ahlu Sunna wal Jama’a group as a positive step in expanding the political process in Somalia to make it more inclusive as provided for in the Djibouti Agreement. Minister Kohout noted that the Czech Republic and Ethiopia had a long history of relationship and solidarity. The two countries shared a similar historical background, both being victims of foreign aggression at different times, and both experiencing difficult political transitions as a result of the Cold War. The Minister expressed his satisfaction at the regular political consultation being carried out at Foreign Ministerial level. He underlined the need to augment such consultations at different official levels. In this regard, the Minister reiterated his Government’s invitation to various Ethiopian high officials, including the Prime Minister, to visit the Czech Republic. The Minister made it clear that his Government considered Ethiopia as an important economic partner in the region with a huge potential for future investment and trade which was why it was considered for Program Country status in partnership with the Czech Republic. Ato Seyoum expressed his appreciation of this move. It might be recalled that the former Czechoslovakian state opened its legation in Addis Ababa in 1955 and upgraded it to embassy level in 1959. Ethiopia had opened its embassy in Prague in 1984. Minister Kohout was accompanied to Ethiopia by the Vice-President of the Confederation of Industry of the Czech Republic and representatives of 11 individual companies. They attended a business seminar jointly organized by the Ethiopian Chamber of Commerce and the Embassy of the Czech Republic. The seminar, opened by Ato Eyesuswork Zafu, President of the Ethiopian Chamber of Commerce, included one-on-one business meetings, presentations of trade and investment opportunities and the signing of a cooperation agreement between the Ethiopian Chamber of Commerce and the Confederation of Industry of the Czech Republic. In his opening address, Ato Eyesuswork highlighted the enabling investment environment existing in Ethiopia today, noting that the current levels of trade and economic relations were not in keeping with the longstanding ties between the two countries. The volume of trade, he said, only US$ 20 million last year. Mr. Stanislav Kazeczky, Vice President of the Confederation of Industry of the Czech Republic, said his organization represented 1300 companies and 800,000 employees. It considered Ethiopia an important country to do business with, and he listed a number of areas including building and construction, power generation, machinery and leather and textiles in which he believed Czech companies could participate. Minister Kohout spoke at the seminar and presided over the signing of a Cooperation Agreement between the Ethiopian Chamber of Commerce and the Confederation of Industry of the Czech Republic. The African Regional Preparatory meeting for the 4th UN Conference on Least Developed Countries (LDCs) was held in Addis Ababa, 8th to 9th March. It was jointly organized by the United Nations Economic Commission for Africa, the Office of the High Representative for Least Developed Countries, Landlocked Developing Countries and Small Island Developing States and the United Nations Development Program’s Regional Bureau for Africa. The main objective was to review implementation of the Brussels Program of Action for the Least Developed Countries over the last decade, and identify measures required at the national, regional and global levels to facilitate LDCs’ development and their integration into the global economy. Haiti also participated following the resolution of the UN General Assembly. The meeting was expected to formulate priorities for African LDCs and Haiti for the next development program. The Brussels Program of Action was made up of seven commitments outlining the key issues to be tackled by LDCs with the support of the international community. These are fostering a people-centered policy framework; promoting good governance at national and international levels; building human and institutional capacities; building productive capacities to make globalization work for LDCs; enhancing the role of trade in development; reducing vulnerability and protecting the environment; and mobilizing financial resources. Progress made included economic growth reaching the target of 7 per cent for a number of years, though without any commensurate reduction in poverty levels. Increased institutional capacity has been observed in some areas, with primary school enrolment increased and gender parity, but progress in water and sanitation and health has been slow. Trade by African LDCs has largely remained concentrated in primary commodities and exports. The lack of diversification has left vulnerability to exogenous shocks. Poor market access remains a serious impediment to exports and to economic diversification. In the latter part of the decade, the global financial and economic crisis had a negative impact, with the fall in commodity prices and resultant decrease in export revenues nullifying some of the positive trends. The negative effects of climate change currently felt can be expected to hamper agricultural production and cripple health systems. Flows of official development assistance (ODA) have not reached the volumes pledged, and the sectoral distribution of assistance has channelled funds towards unproductive sectors. This has been exacerbated by the large proportion of aid flows allocated to humanitarian assistance in post-conflict situations. Ato Mekonnen Manyazewal, State Minister of Finance and Economic Development, gave details of Ethiopia’s efforts at implementing the Brussels Plan of Action. The Ethiopian economy, he said, has shifted to a higher growth path since 2004 with an average growth of 11.5 per cent per annum during the last six years. This was largely attributed to good performances in agriculture complemented by a strong performance in the construction and manufacturing sectors. The Government’s commitment towards poverty reduction via broad-based pro-poor growth was a major reason for such impressive results. He said the Agricultural Development Led Industrialization (ADLI) strategy and the wide ranging set of agricultural and food security reforms had created the basis for better income for small farmers, household food security, and improved nutrition. Economic management reforms had increased the capacity of sustainable financing of pro-poor investments. The expansion of infrastructure, in roads, power supply and telecommunication, had resulted in better access to social services. Massive investment in all levels of education and training was creating a generation of Ethiopians equipped for both higher productivity and the provision of effective public services. Regulatory reforms were laying the basis for opening up private sector expansion of business activities as well as increased employment. Institutional capacity building, the decentralization and empowerment process, and reform programs were laying the basis for effective service delivery and rapid economic growth. Well-integrated, home-grown, forward-looking systems designed to achieve real development results will continue in the next generation of the development plan (PASDEP II). Overall, the meeting observed that African LDCs have made considerable efforts in implementing their commitments with wide-ranging economic reforms undertaken in public sector reform, privatization and trade and financial liberalization. Notable progress has been made in improving institutions of governance including accession to continental and global initiatives such as the NEPAD’s African Peer Review Mechanism (APRM). Equally, constitutionalism and the rule of law remains a major challenge as does corruption and public service delivery. Violent conflicts still persist in African LDCs and greater national efforts to strengthen institutions of governance are needed. The positive economic growth in the period under review has enabled LDCs to show some slow progress towards human development, notably towards gender equality and universal primary education. Hunger remains pervasive in many African LDCs and food security has become even more acute in the context of the current global financial and economic crisis. The importance of increased domestic resource mobilization through reforming revenue collection, improving the tax base and addressing corruption was recognized. External financial resources flow to LDCs remain below the targets set by the third UN Conference on LDCs, but south-south trade and investment flows have become important sources of financing development in LDCs. The meeting also noted new challenges threatening to derail progress including the converging crises of food, fuel, climate change and the ongoing global financial and economic crisis. High food prices and worsening balance of payments made it difficult for LDCs to finance their food import bill. The result was an increase in food insecurity in African LDCs. Climate change represented an additional challenge for African LDCs. There was agreement that it was necessary to mobilize increased domestic resources to finance self-sustaining development, to attract increased foreign direct investment flows, leverage the impact of remittances on development, ensure debt sustainability, mobilize additional resources through innovative funding, and unleash the benefits of trade to provide for the development of the Least Developed Countries. A two-day conference focusing on the issue of Human Trafficking and Human Smuggling in Ethiopia was held at the UN Economic Commission for Africa in Addis Ababa. Organized by the Ministry of Foreign Affairs and the Ministry of Labor and Social Affairs, the conference was opened by Foreign Minister Seyoum. He welcomed delegates from various federal ministries, regional offices, from the House of People's Representatives, civic societies and various associations, religious institutions, non-governmental organizations and international organizations, noting that this issue had become a global challenge. Ethiopia was one of the victims and its poverty and backwardness was a major reason why citizens might look to foreign countries for better opportunities. However Ethiopia, he stressed, was making every possible effort to ensure sustainable economic development. The development strategies put in place by the government should reduce poverty and backwardness, the main causes of illegal migration. He said combating the crime should not be left to federal officials, every stakeholder linked to the topic in one way or another, whether at national, regional or international levels, was required to work to prevent this crime and people from falling prey to organized criminals as well as help rehabilitate victims. Mr. Sinigallia, Ambassador and Head of the EU Delegation noted that the legal movement of people from place to place benefited both the countries of origin and destination. He expressed the EU’s readiness to work together to curb illegal migration and encourage the legal movement of people. Mrs. Zenebu Tadesse, State Minister of Labor and Social Affairs, provided a case study on Ethiopian illegal migration addressing reasons for migration, the problems encountered by the victims of human trafficking, the actors involved and their collaborators. Participants appreciated the Government’s initiative in raising this issue for discussion. They called upon the government and citizens and all concerned bodies to give due attention to the increasing amount of human smuggling and human trafficking, and to work to raise awareness among the general public, and to bring criminals and their collaborators to justice. A poem on the subject was delivered by the famous artist, Fikadu Teklemariam, and various testimonies from victims of human trafficking and human smuggling were given to the conference. It has been a while since Ethiopia embarked on a process of democratization that has achieved remarkable results over the years. Considerable progress has so far been made in putting in place the institutional mechanisms that help anchor the process on a firm basis. Ethiopia’s democratization process, young though it is, has come a long way in ensuring the participation of the peoples of Ethiopia at all levels of self-governance. Despite the significant progress made, the process has also faced a number of challenges both from within and without. On one hand, the lack of democratic culture and civilized discourse has certainly contributed to the often rancorous and chaotic relations between stakeholders which have further complicated the process. On the other, the reaction of the rest of the world towards the democratization process in Ethiopia has not always been constructive either. Detractors have never been in short supply. It is not uncommon to hear outrageous allegations by non-nationals in different capacities in the name of supporting democracy. Far from being helpful, such meddling has in fact contributed to the polarization of politics in the country by instilling a false hope among many in the opposition that change can be imposed from outside. Among other institutions pivotal to ensuring the sustainability of the democratic process, the contribution of a free press and that of holding periodic, free and fair elections is all too palpable. It should not thus be surprising that freedom of the press and whether or not elections are free and fair have often been the centerpieces of most of the commentaries and criticisms in relation to the democratization process in Ethiopia. Both are instrumental in enabling citizens to express or make their choices of ideas or of leaders. Both are also instrumental in shaping the behaviour of political leaders by subjecting them to a periodic review of their actions. That much is true. While the overall outcome of the elections and the manner in which they are conducted ultimately depends on the extent to which citizens take the process seriously, the press’s role can also be decidedly unhelpful if its behaviour falls short of the standard of fairness required of any responsible media. Ethiopia’s experience in this regard has been a sobering one, indeed. Our recent history is replete with incidents of press being used in stoking crises of all sorts by disseminating unfounded allegations. Whipped up time and again, an allegation often takes on a life of its own, irrespective of its being inaccurate and can be readily used by detractors of the process, from within and without, as a positive proof for de-legitimizing it. Ethiopia has carried out a series of successful multi-democratic elections at all levels, though not without dispute (what elections ever are). But the role that the private press has played throughout the last three elections has been far from reassuring. More often than not, the private press has operated on a strictly partisan basis with the government invariably being at the receiving end of lopsided criticisms. It has for the most part behaved in a manner far from responsible. Much energy and space has been expended to discredit and de-legitimize the democratic process rather than to help strengthen it. Allegations by the private media about electoral irregularities have all too often found their way into the assessments by external commentators about the state of democracy in the country. The disturbances in the previous elections were in some measure the result of the press’s proclivities to stoke up violence. Now that preparations for the next elections are well underway, the media has been covering election-related issues. It is worthwhile to ask how much of what we saw during the previous elections has improved and to what extent is the media involved in the process this time around. As far as the public media goes, the allocation of air time and space in the public media has been agreed upon by the council of parties and this is being implemented accordingly. There have also been indications that private broadcast media is gearing up to play a part in this. These surely are encouraging signs. With the private press how much of its coverage is fair and balanced? The answer is mixed. There have been improvements. Some private papers appear to be taking care to cut back on the sort of allegations they used to toss around all too liberally. Nevertheless some papers still try to try to discredit the entire process as illegitimate. Instances of irregularity are spun out of all proportion. Allegations of harassment by opposition parties are given incessant coverage while government efforts to address these allegations count for little. A single incident of violence is given ten times more coverage than any positive developments however important and relevant. In some papers the proclivity to highlight the negative over the positive, or street violence over peaceful demonstrations, so commonplace in the past, remain alive. The similarity of content and tone with some of the vocal Diaspora-based opposition is unmistakable. Unfortunately, foreign media have also developed a penchant for this type of sensational reporting. Attempts at external interference in the elections have not been confined to US Senators, or international advocacy organizations. It really does begin to look as if the international media is determined to try and impact the results of the election with both the timing and content of its stories. The BBC has even dragged up something dating back 25 years, quoting claims by two former colleagues who broke with members of the current government while they were all involved in a guerrilla struggle in the mid 1980s, and who have been trying to bring down the present leadership of Ethiopia ever since. Recently, they found a gullible enough BBC reporter to publicize their story just in time to try to influence the election, despite the fact that all those involved in cross-border food aid in 1984/85, without exception, have insisted there is no truth in the extraordinary claim that 95% of aid funds were being diverted to buy arms for the struggle against the Mengistu military dictatorship. Prime Minister Meles described the accusation as a complete lie, pointing out there would have been no military logic in selling food to buy guns. “We captured large amounts of guns and tanks. We did not need to buy arms…It would have been completely suicidal to starve our own people. We would have had no movement if we had no people”. Even without the plethora of evidence to the contrary, it is impossible to believe in any such diversion of aid, given the fact that the cross-border food aid program actually did save the lives of the hundreds of thousands in need in the guerrilla-held areas in those years. Given the paucity of the evidence produced by the BBC, and its origins, it is difficult to see this story, despite the denials of the journalists involved, as anything other than a deliberate attempt to affect the results of the forthcoming election. Certainly, we can be sure that those who supplied the alleged information, well-known and long-term critics of the EPRDF, did so in an attempt to affect the electoral support given to it. It is worth underlining that the suggestion that professional aid workers, even so long ago, allowed so much aid money to be misdirected into funding a rebel war is not only mischievous and unsubstantiated. Similarly, the timing of a recent story on VOA about the alleged jamming of the Amharic Services of Voice of America and of Germany’s Deutsche Welle, appears equally deliberate. To be fair the story does quote a denial from the spokesperson of the Government Communications Office, and it does also make clear that the VOA transmissions in Afan Oromo and Tigrinya which are broadcast on the same frequencies before and after the Amharic transmissions are heard normally. Nevertheless, the timing of the story, and the fact that VOA chose to raise the issue publicly rather than with the Government Communications Office directly, does suggest the intention was to have a political effect. A recent statement by British Minister for Africa, Baroness Kinnock, given to the local media here in Addis Ababa shortly after she paid a visit here earlier in the year, also falls into the category of a deliberate effort to influence the election. Her comments make it clear that Baroness Kinnock apparently understood little of what she heard and saw on her visit concerning the Code of Conduct, the case against Ms. Birtukan Mideksa, or the independence of the National Electoral Board and other issues. Certainly, most of what she had to say appears to have been provided by rejectionist politicians in the Diaspora who have been recently flaunting their links to the Government of Eritrea. In her youth, Baroness Kinnock was an ardent support of the EPLF, and she still seems prepared to see the Government of Ethiopia through the prism of her past, as some sort of enemy! It might be an exaggeration to see all this, and Senator Feingold’s remarks, as part of a concerted campaign against Ethiopia’s current electoral process, but the effect of these stories, and of the way in which they have been reported in the media does suggest deliberation and intent, amounting to an attempt to interfere. The media provides an invaluable channel of information between candidates and the public. A free media is one of the basic conditions for a pluralistic and democratic society. Freedom of expression, including the right of the media to collect, report, and disseminate information, news, and opinions, is a fundamental human right. It also involves responsibilities to report accurately, and avoid abuse of what is in effect a privileged position in society. The media has a heavy responsibility. It does not always live up to it. That is why all stakeholders, candidates as well as voters, must realize the magnitude of the challenge and the need to protect the integrity of the process.